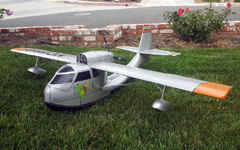 Bill Bryant's Seabee RC Model! Came across your website, and thought you might like to see my friend Bill Bryant, from Whittier CA. 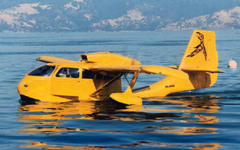 Seabee model. Scratch built from plans purchased on the internet. Span is 63", ready to fly weight is about 8lbs. 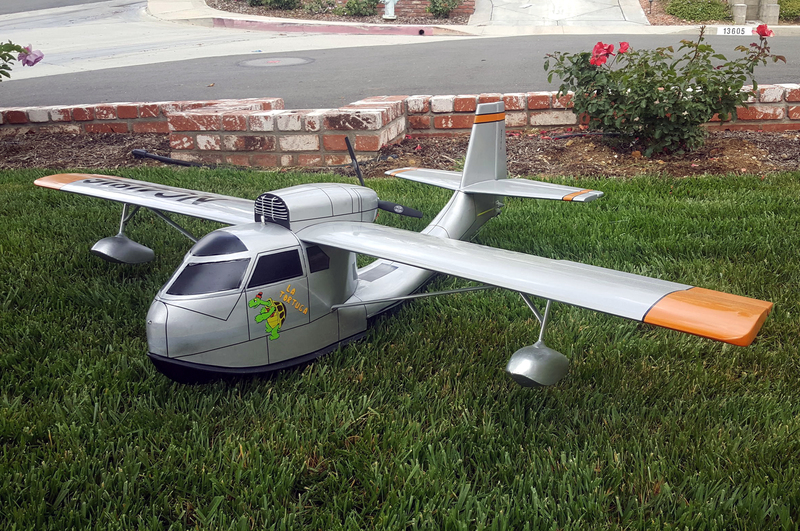 Power is a 60 size brushless electric motor, 60 amp speed control, 3 blade pusher prop, 6 cell Lipo battery. 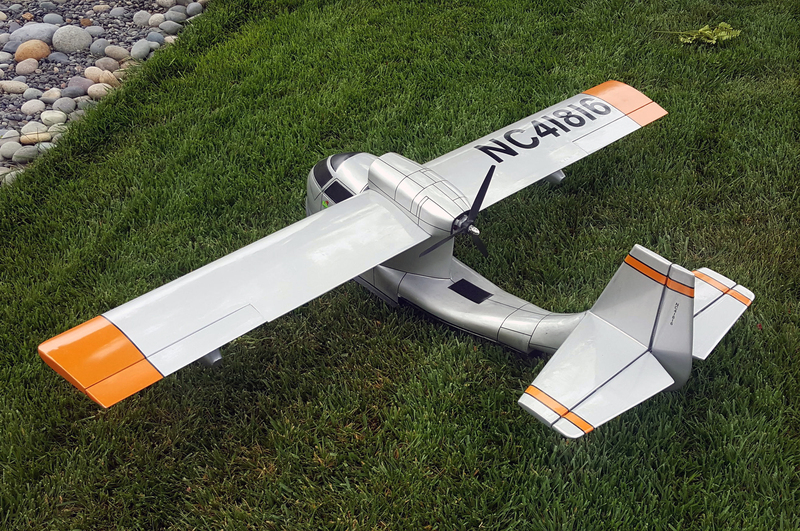 I had the privilege of doing the maiden flight, and the model flew perfect; no trim adjustment was needed, and no bad habits. 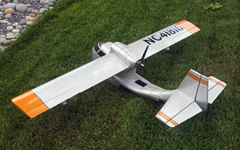 Glide ratio is very good; the plane just goes, and goes. The correct angle on landing is important, or the plane will "porpoise"
Ben was born in Seattle to Benjamin and Helen Paschall. The family lived in the Madison Park area and Ben attended several different schools in the Seattle area. He went to St. George’s in Vancouver, BC for high school, after which he joined the Navy in 1951. He got his honorable discharge in 1954 as an Electrician’s Mate. He came back to Seattle and started a landscaping business for several years, before managing, with the help of his mother, his late father’s company that manufactured asthma nebulizers. Eventually, when he took over the company, Ben guided Pascal Company into another direction - that of manufacturing dental products - and further expanded it into the thriving international business it is today. Ben valued and treated his employees as family, to the extent that the majority of them have been with him from 18 to 45 years. 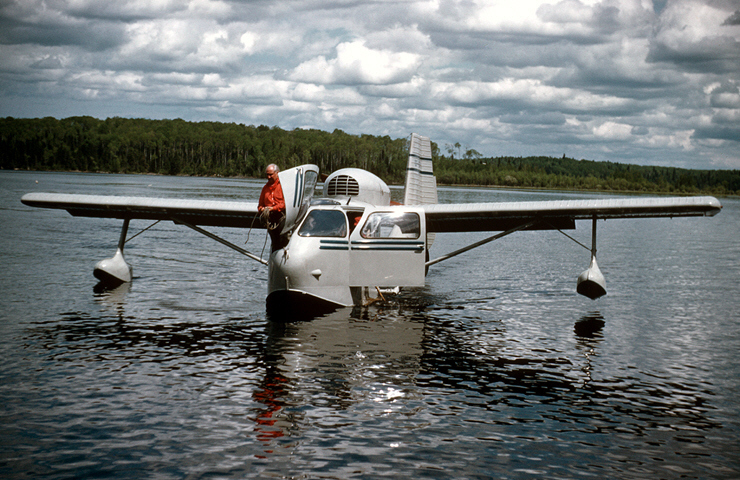 During part of this time, he was married to Joan Larson and enjoyed raising his 3 children, living on houseboats, sailing around the Sound in his 6-meter sailboat, and flying all over in his 1947 Republic SeaBee amphibious airplane. After his divorce, Ben started a new phase of his life - that of the party bachelor, avid skier, tavern owner, pilot, traveler, and continuing international businessman. His third life phase started when he met his future wife, Penny Braden, in 1983 at a ski club function. This was the beginning of a long, loving friendship and life together of skiing, hiking, traveling, cruising, RVing, flying, and boating on their beautiful Skookum 53. After all those years, they decided that “this just might work” and got married January 2016. Their future plans for more fun adventures together were interrupted by Ben’s being diagnosed with Lewy Body Dementia. Even after that, they managed to squeeze in several more trips to South Africa, Dubai, New Zealand and Australia. To the end, he still had his lovely smile and caring heart. He is survived by his wife, Mary (Penny); his children, Susan Rich (Casey), Steven, Brian (Deborah); his grandchildren Lenny & Rachael Rich, Aiden, Erika, & Cayden Paschall, Ariana Langheld; his sister-in-law, Jenny Paschall and her children; his step-brother, Stuart Murphy (T.J.) and their children.